Data is increasingly being stored for longer periods of time to meet compliance and regulatory requirements. And many organizations are facing the need to move data off of aging tapes before it’s irretrievable. Both the public cloud and tape offer the ability to store and retrieve data for long-term retention. Tape is losing its appeal for long-term retention due to cost and difficulty of accessing and retrieving data. Cohesity simplifies long-term retention and archival with a single, cloud-native solution. Streamline workflow by setting policies to take your backup and automatically move to archive. Choose the public cloud or tape, depending on your business requirements. Archive data to multiple targets, including public clouds, private clouds, any S3 compatible device and QStar managed tape libraries. 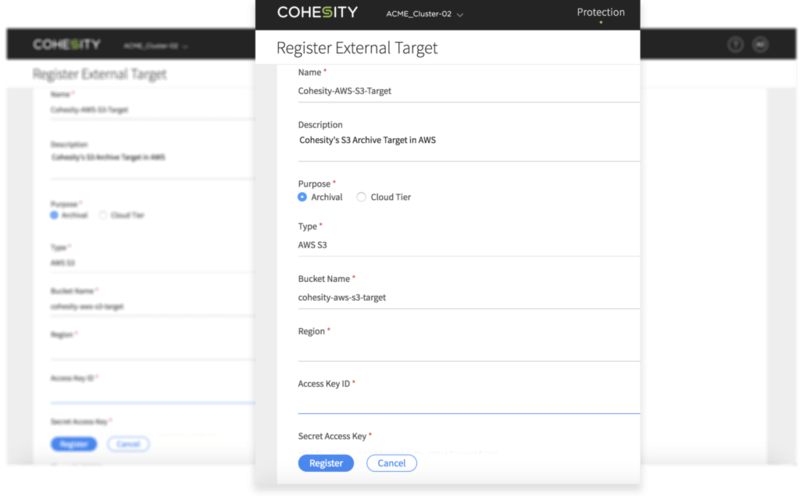 Cohesity DataProtect allows you to keep long term retention copies of data in the cloud or on tape, and ensure a consistent user experience. CloudArchive enables easy long term data retention in the public cloud. Leverage Google-like search to get instant access to data archived in the public cloud and achieve nearly instantaneous granular restores. Benefit from a world-class indexing engine. 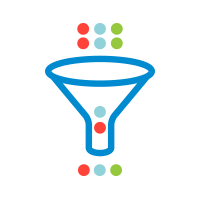 Use easy built-in policies to automate data retention to the public cloud or tape as an archive target with desired retention periods. Cohesity’s advanced algorithms for true global deduplication and compression in the cloud significantly reduce cost of public cloud storage for archival. Archive older local snapshots in the Cohesity cluster to the public cloud for long-term retention. Unique CloudArchive dedupe optimizes data stored in the public cloud. Integrate with Azure Data box and other similar appliances, overcome network challenges and transfer large amounts of data to the cloud. Google-like, wild-card search instantly locates VMs and files. Cohesity recovers individual VMs, restores files to source VMs, and recovers individual application objects. Cohesity uniquely dedupes across clusters, workloads, and protocols. Global, inline variable-length block deduplication optimizes capacity efficiency.